When growing up on the farm, a special treat my mom use to make was her homemade hot chocolate. Or… hot cocoa. Back in the day after an evening of snow play, we’d clamour indoors, and head for the warm pot brewing in the kitchen. Greeting us would be my mom’s homemade hot cocoa steaming away in a large pot on the stove, encouraging us to sit and sip away our numb, tingling fingers. I honestly don’t remember the last time I’ve had the homemade variety so I just whipped up a batch tonight. Ohhh my goodness… the memories came flooding back! It was smooth and delicious! And not too sweet, because you can control the amount of sugar. Perfect. But I admit, we generally just stock a big, honkin’ can of the powdered variety, add water from the Keurig, and it’s done. I may be rethinking that now. 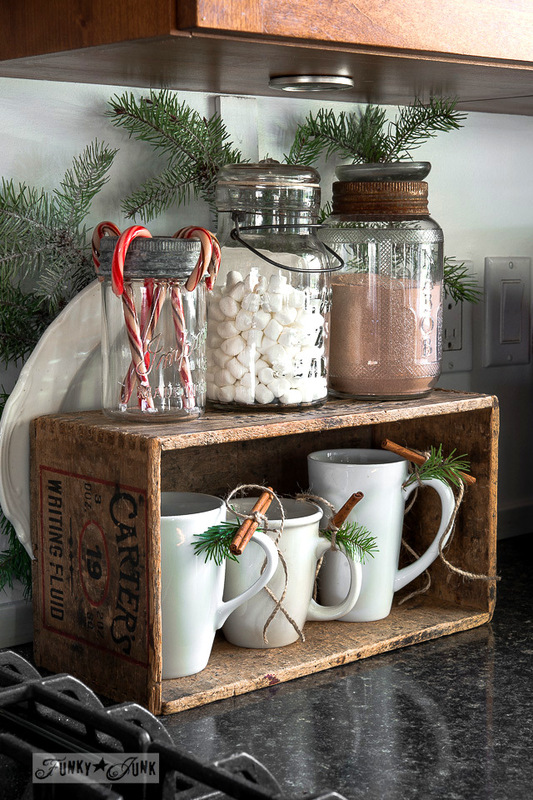 So, with Christmas just around the corner, I desired to make our first official but simple hot cocoa station. We don’t have much room in our kitchen for anything too large, so this compact version worked out really well for us. 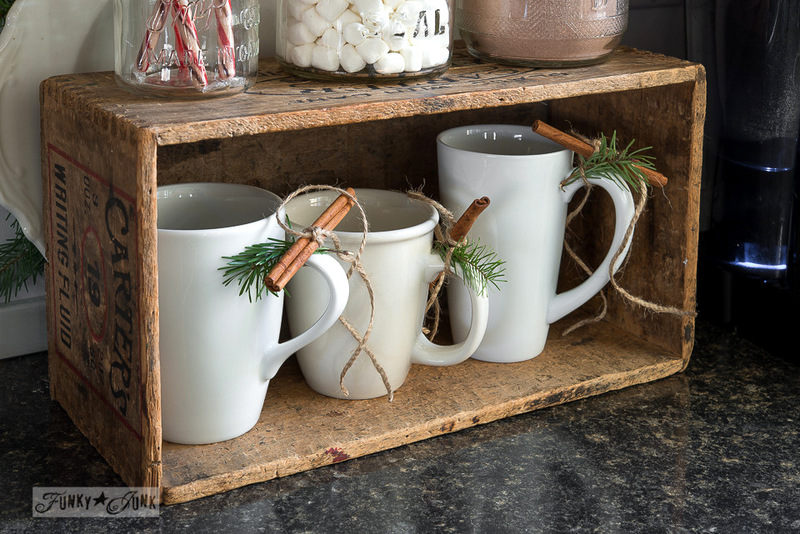 I grabbed a few white mugs, and tied on a cinnamon stick and sprig of evergreen to each handle. Then tucked them inside a crate. 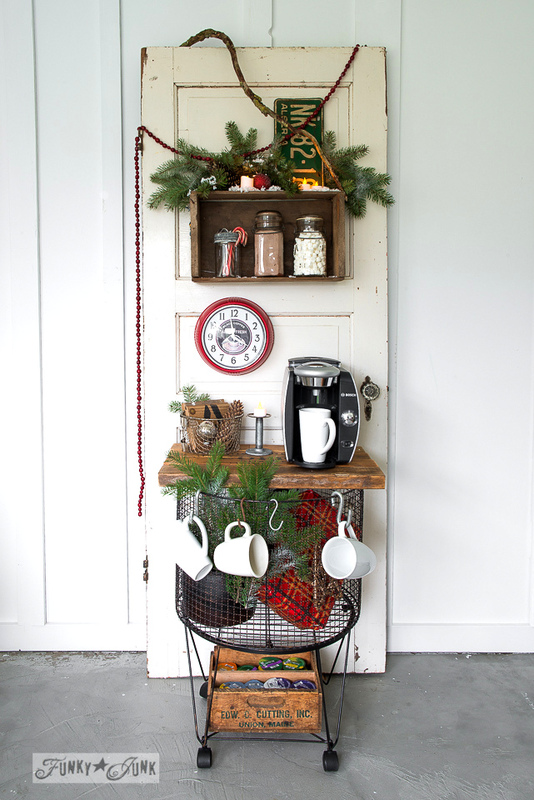 I love crates because they give you two layers to work with, doubling your counter space. On top of the crate, the fixin’s. 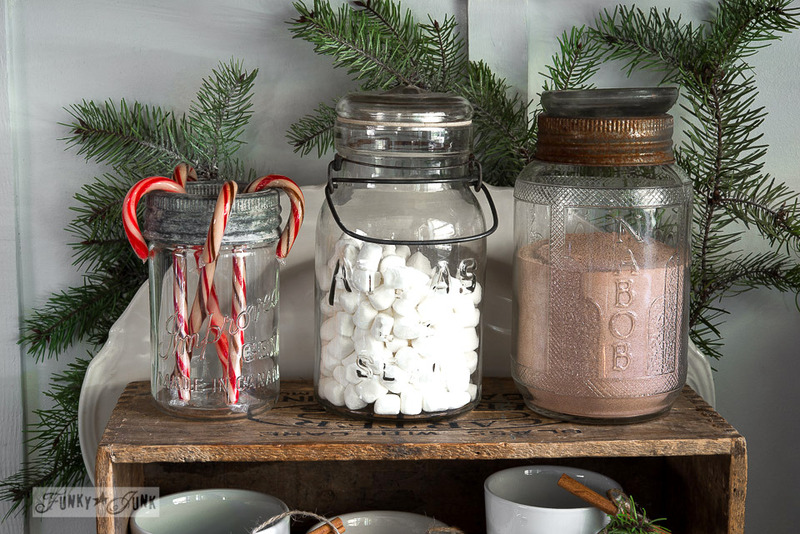 Instant hot chocolate powder, marshmallows and candy cane stir sticks all within easy grasp. 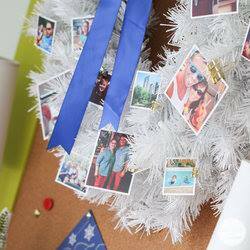 Now… if our kitchen had a blank wall…. I would haul this baby upstairs as is. This was a project and shoot I did to create a special use for the vintage cart you can check out HERE. 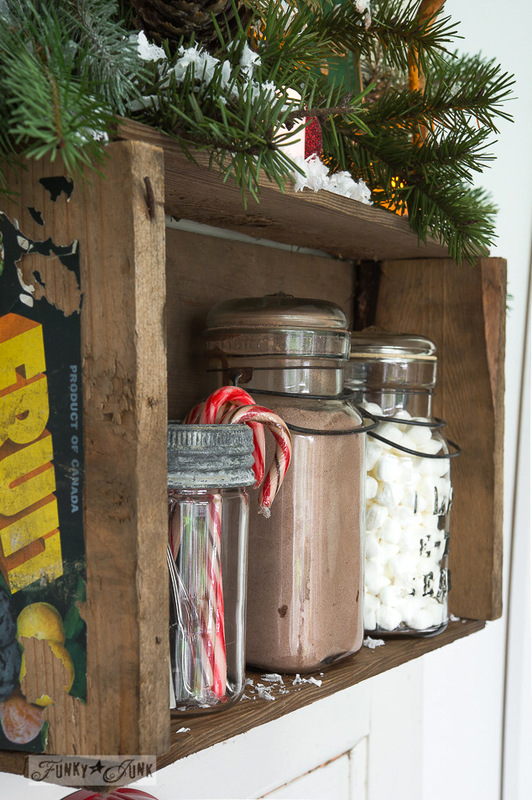 I just love this little crate hung on the wall! 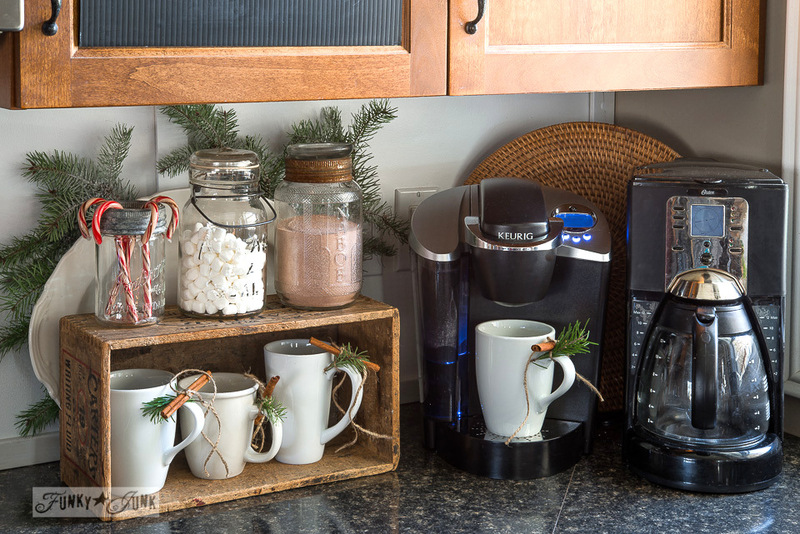 This rolling beverage station idea really is the cutest thing, which I happen to be using in my kitchen for my (ahem) 3rd coffee maker you can see HERE. While the countertop version is much simpler, I think it’s also more feasible for most homes. So there you go! 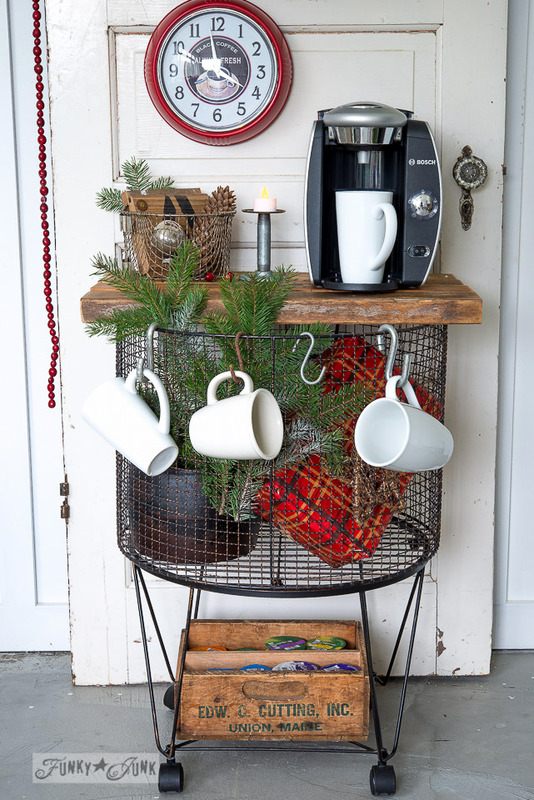 A crate and a couple of vintage jars is all you really need. Layered with a big ‘ol pretty white platter and greens lightly sprayed with spray snow of course. But I can’t let you go quite yet without sharing my mom’s wonderful hot cocoa recipe! All you need is milk, sugar and cocoa. If you love a quality drink, do try this. It’s amazing. 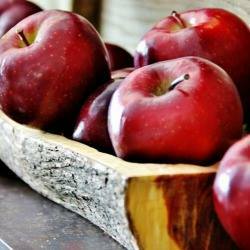 And you can tweak to taste with as much or as little sugar as desired. You could also totally create this homemade mix for your station, replacing the premixed version. Happy hot cocoa drinking to you! Does hot cocoa bring back memories for you too in some way? If you haven't tried homemade cocoa before, you're missing out. You'll put away the instant in an instant. Enjoy! In a heavy pot or large double boiler, pour in 1 cup or mug of milk per person (or more). Sift 1 tablespoon of cocoa into the milk, per person. Add 2 teaspoons sugar, per person. Whisk contents inside the pot until well blended. Allow milk to just scald, stirring constantly, so it doesn't burn. 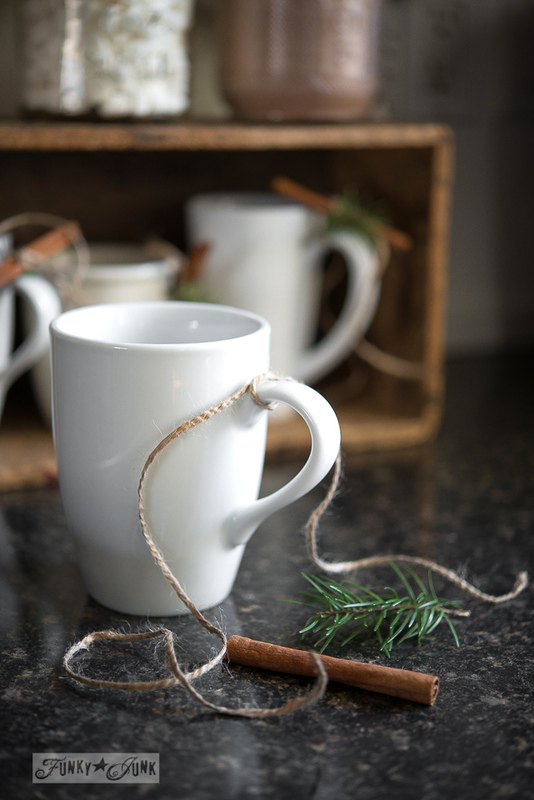 Ladle into mugs, then top with mini marshmallows. Enjoy! You'll just love it! Tip: tweak ingredients to personal preference. 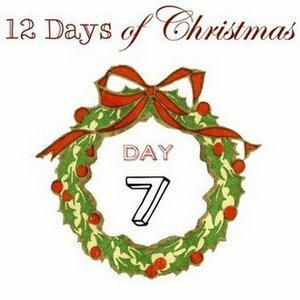 And don’t forget to hunt for today’s giveaway at one of the blogs below! 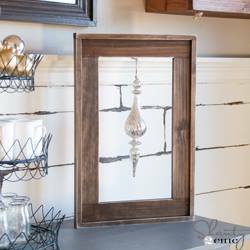 Thistlewood Farms – 7 handmade gift ideas – TODAY’S GIVEAWAY BLOG! Okay Donna, I’ve really been having a hard time getting into the Christmas spirit. 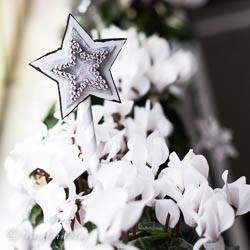 Just scrolling thru your decorating ideas has put a sparkle in my eye. Time to bring up the decoration boxes from storage! Time to go out and collect those pinecones! Time to put on the Christmas music! Thank you so much for the inspiration! Today’s the day! LOVE IT and now my mouth is watering. Thank you so much for the recipe as well. Must try it soon. About a week ago when I was just coming down with a cold, my wife fixed me a cup of hot chocolate. Yum! (The second cup she fixed wasn’t hot enough, but we won’t mention that!) Oh! And, we happened to have some whipped cream on hand from the Thanksgiving pumpkin pie we finished. Love it! I am planning a gingerbread house making party for the kiddos and their friends and am going to have our first hot cocoa bar! I am so excited!!!! 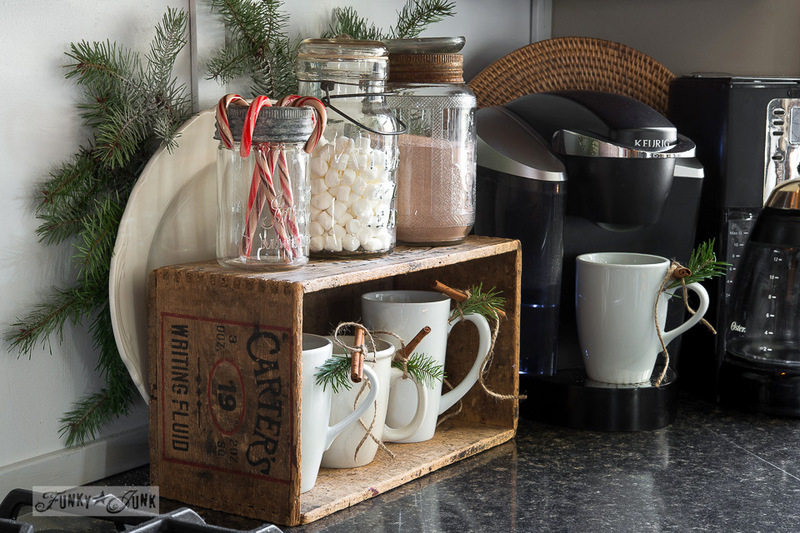 Love your little hot cocoa/coffee station! That recipe sounds just delicious, I’m going to have to try it so thanks for sharing. So clever and so attractive. Love the version with the door! Love the look!! Can’t wait to try the cocoa, so simple. I made stove top hot cocoa for my kids this morning. And they each put a mint Hershey kiss in their mugs instead of marshmallows. Mmmmm. Totally love your full scale cocoa station, but I REALLY LOVE the compact one. I was just talking to my sister-in-law about setting up one in her house. This goes to show you don’t need a lot of space. LOVE IT! My mother’s recipe was very similar, she just added a tsp of vanilla and tiny pinch of salt…it’s the best! Merry Christmas! I just fell in love with the idea of a hot chocolate bar last year. couldn’t wait to get one set up again this year. At first, I had it on a small sleigh, but it just wasn’t working for me. Now I have it on a cake plate. I really want to have a party so I have an excuse to put out more toppings for the hot chocolate bar and a cookie bar! Hi Donna, truly love the rolling ‘beverage’ cart. Such a great find that can be used in so many places and for so many things And those canisters?! I so love the character of the old canisters and wonder about all the hands that have unscrewed those lids. Thanks for sharing your cocoa stations.